When it comes to saving on home heating costs, it pays to sweat the small stuff. Now, for example, is a good time to schedule a furnace checkup to make sure it is working efficiently, rather than waiting until the furnace kicks in for the first time. And check to see if the air filter is clean. Normal furnace filters should be changed every month and high-efficiency ones every three months. 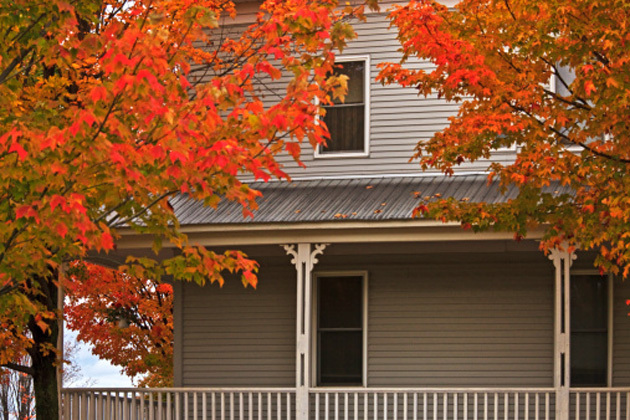 While the weather is still mild, it’s easier to tackle home weatherization projects. Check weather stripping and caulk around doors and windows to keep out the winter chill. And for some homeowners, heat is literally going through the roof. Make sure your attic is properly insulated to help keep your home warmer in winter and cooler in summer. It’s also a good idea to check insulation in the basement and in household air ducts, exterior walls, crawl spaces and around electrical outlets. Each year the chimney also should be inspected for creosote buildup, which could be a fire risk. And now is also a good time to check your carbon monoxide and smoke detectors to see that they are working properly. If you need a new furnace, look into the high-efficiency models that will save you money in the long run by burning less fuel. You may also want to consider replacing old windows with more efficiently designed models. – Check to see that doors shut and latch properly. – Check your window locks. Locking windows can help to prevent cold air from seeping through. – Put up storm windows and hang heavy drapes over drafty windows. – Replace mail slots with external mailboxes. – Schedule a furnace tune-up at least once a year. Experts say you can save as much as five per cent on heating costs by scheduling a service appointment for your furnace before the cold weather arrives. This helps to ensure your furnace operates at its peak efficiency throughout the winter. – Manage your thermostat. You can save about 1 per cent on heating bills for every degree you turn your thermostat down for eight hours a day (e.g. 10 degrees for a 10 percent savings), experts say. Try lowering the temperature at night or while you’re at work. The rest of the time, keeping your home at 20 C or 68 F will save some green. If you are away from your home for an extended time, however, don’t turn off the heat. This can lead to frozen pipes and costly repairs. If possible, lower the thermostat to 13 degrees C (55 F) while you are away. – Check the clothes dryer vent at the outside wall for a draft. – Keep the fireplace damper closed unless a fire is going. Keeping it open is like keeping a 48-inch window wide open during the winter, according to experts. – Remove hoses from outside faucets, drain them and store them away for the winter.